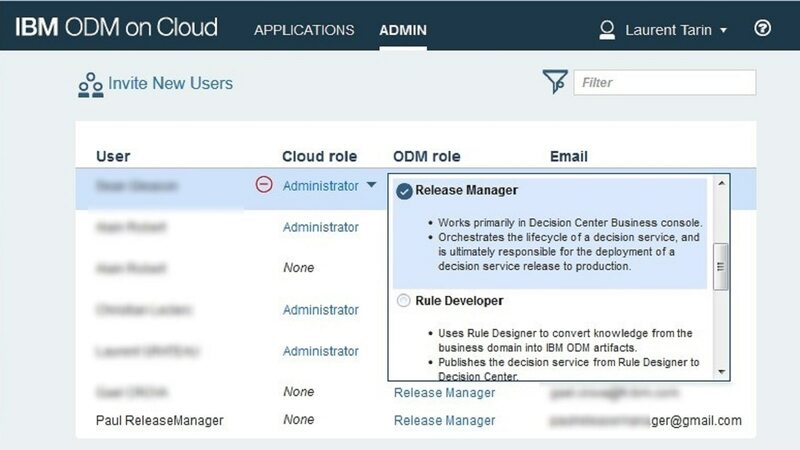 IBM Operational Decision Manager on Cloud is a cloud service that helps you capture, automate and manage rules-based business decisions. It is a business rules automation platform that anyone can work with―from IT to business-line leaders. Users can quickly initiate business rules management projects at lower costs by reducing the need for IT assistance and hardware and software acquisitions. In seconds, it can authorize a loan, decide on a promotion or detect a cross-sell opportunity with high precision and customization. This service allows you to remain up-to-date and well-aligned with the changing business objectives of your organization. 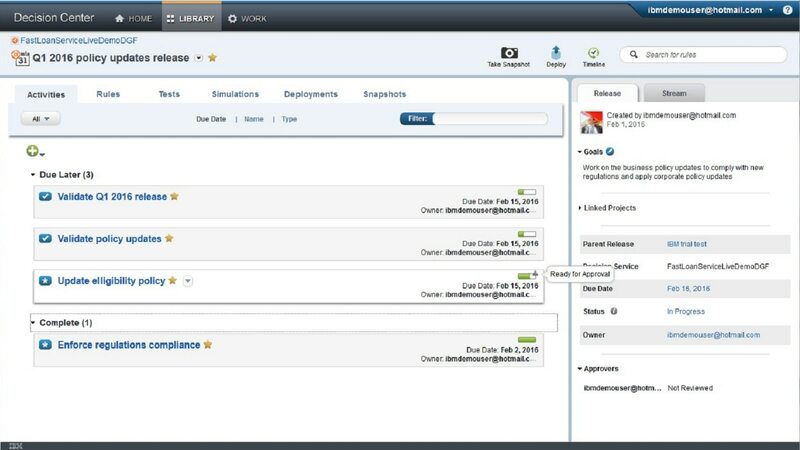 Captures, manages and automates business policies, practices and regulations on the cloud. 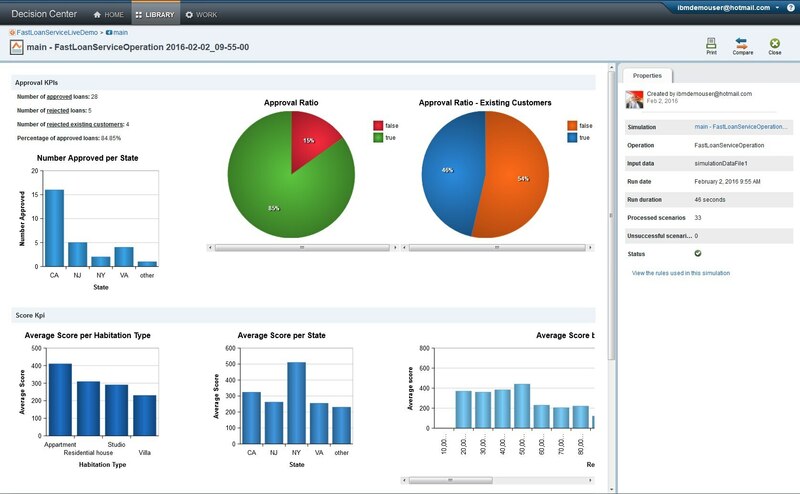 Gain more visibility and control of your business decisions. Eliminates typical inhibitors—capital expenditure, hardware availability and skills for installing and operating a decision management platform. 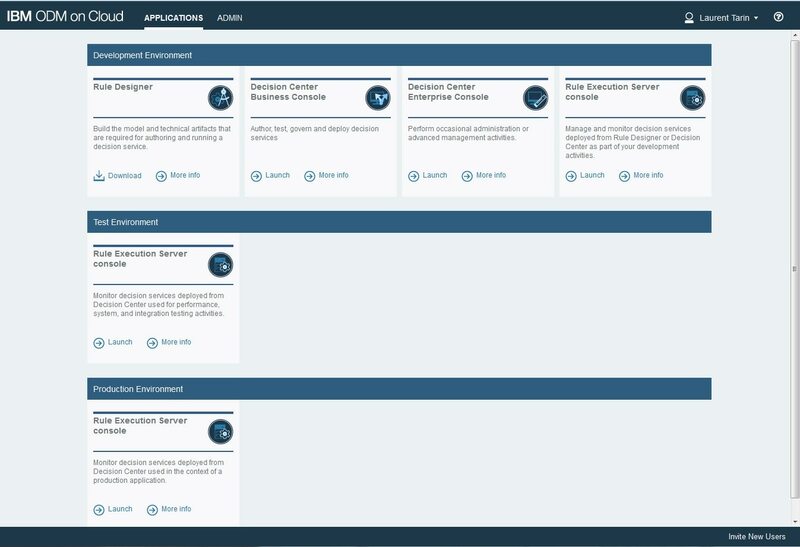 Provides three pre-configured development, test and production environments with further options to customize to your development cycle. You can get started within 48 hours without IT support. 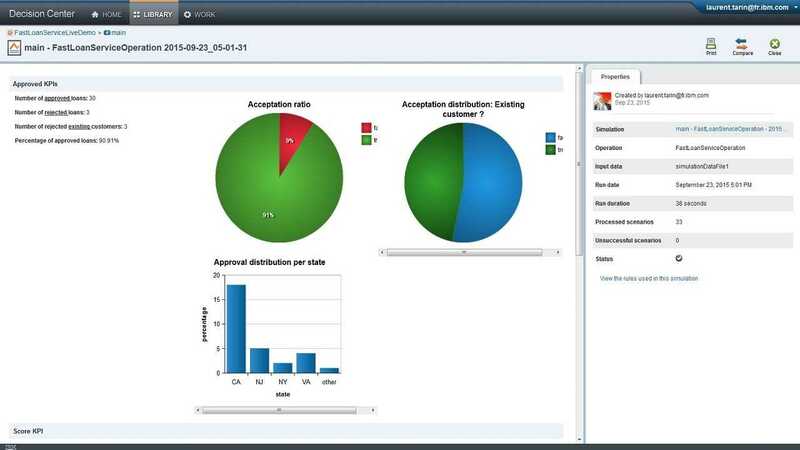 Capture, automate, manage and audit repeatable business decisions as a hosted and fully managed solution by IBM. Capture, automate, manage and audit repeatable business decisions with a low cost entry point for less complex and non-mission critical applications.